The closer we get to the supposed reveal date for Nvidia’s new range of graphics cards, the more leaks appear on the big blue internet. Last week it was seemingly confirmed that the green team would be letting their cards loose this month, and now we might have an idea of just how powerful they’re going to be out the gate. A few months ago a leaked 3DMark score for the GTX 880 (which may have no been rebranded to the GTX 980) suggested that the new Maxwell-based card would trump the GTX 780Ti by a massive 35%. These new leaks seem far more grounded, although they still suggest an interesting outcome. Despite the age of the 780Ti, it seems Nvidia is ok with a new card effectively writing it off the market. 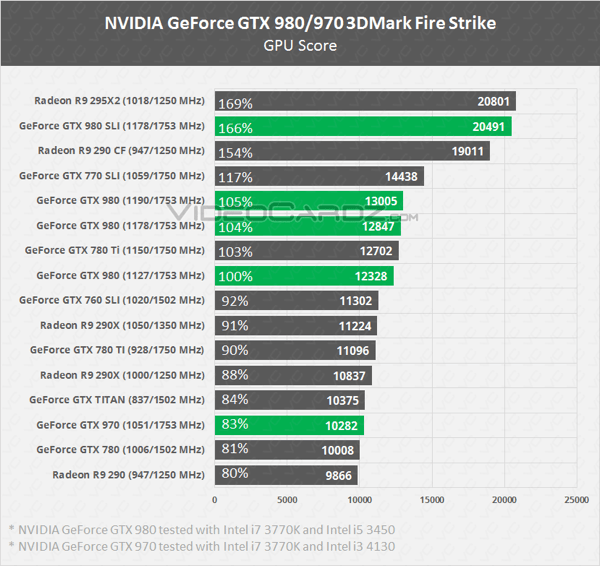 From the graph below (courtesy of Videocardz) it’s clear that the stock GTX 980 is around 10% more powerful than the stock GTX 780Ti. At its highest clock speed of 1190 MHz, the 980 is supposedly 15% faster than the GeForce GTX 780 Ti and 14% faster than the Radeon R9 290X. This is especially impressive if the other rumour regarding the new Maxwell chip is to be believed as well, with the estimated price sitting at $499 – lower than that of most of the 780Ti’s on the market right now. But we’re not just looking at the GTX 980 here – how about that GTX 970? According to the graph, the rumored $399 Maxwell card delivers near Titan performance for the fraction of the cost, proving once again that Nvidia’s ridiculously priced monster really has no reason to be in your sights. Still, it’s interesting to see that even a GTX 980 SLI solution still sits underneath the Red team’s dual R2 295X2. Still working with rumoured pricing, a SLI 980 setup would cost in the region of $1000, which would undercut the R2 295X2 but $500 – had AMD not slashed the price just a few days ago. What an odd coincidence, right? Again, these all fall under the big rumour banner until Nvidia officially announces anything solid. 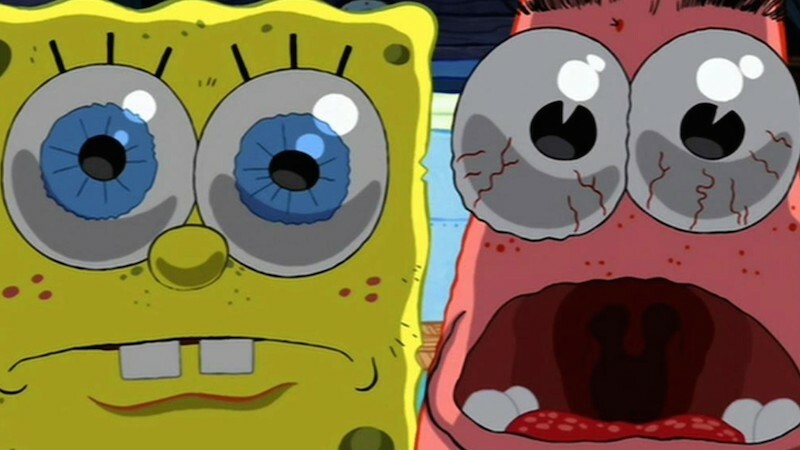 Right now the GTX 980 will supposedly sport 4GB of DDR5 memory across a 256-bit bus. Other than that, take everything with a pinch of salt. At least until later this month. Previous article NHL 15 is missing which key features?